Keeping a modern motor maintained can be surprisingly expensive. Car valuation expert CAP Automotive says even a Volkswagen up!, the car it says has the cheapest running costs on Britain’s roads, will cost £848 over the first three years of its life. Fixed price servicing aims to ensure you know what you’re going to pay well in advance so you’re not hit with a huge garage bill out of the blue. But do such schemes make sense, or are they just another way of extracting more cash from drivers? Who offers fixed price servicing? Car manufacturer’s dealerships love anything that keeps customers coming back as it gives them multiple chances to sell you new products. Fixed price servicing does exactly that, particularly if you sign up to a pay by the month plan. But as any business will tell you, it’s a lot easier to keep existing customers happy and ensure they come back than to spend money acquiring new clients. As a result, independent garages are starting to do it now too. Is it just on new cars? It used to be the case that the majority of new-car dealerships would only offer fixed price servicing on new cars. That’s because regular services were unlikely to involve unexpected costs for wear and tear and were therefore easier to quantify. 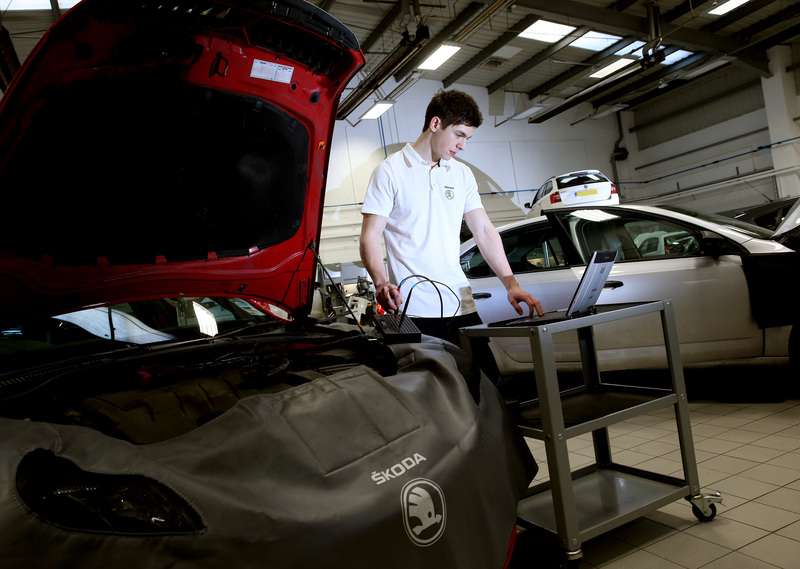 However car makers have broadened out fixed servicing deals to older cars to stay in touch with a wider customer base. For example, Volkswagen now offers fixed price service plans for cars up to 10 years old. Obviously it varies from manufacturer to manufacturer. Volkswagen will offer a plan for used cars that costs £19.99 a month and includes all the parts and fluids that routinely need replacing. For three years or 30,000 miles, that’s a total £479.76. For smaller VWs such as a Polo or Golf, it’s £15.99 a month or £383.76 over three years. Hyundai offers five years of servicing for £649 or £129.80 a year for its smaller cars, such as the i20 and i30. MOTs are on top of these but very often if you’re on a service plan, they do those for less than the regular £54.85. These vary dramatically depending on where you are in the country and the state of their business. Kwik Fit promises a full service and MOT on a 1.4 to 2-litre car for £179.95. Its interim service plus MOT is £119.95. We found an independent garage that for cars up to 2.1-litre charges £130 for an interim service including MOT and £195 for a full service plus MOT. How do service plans compare to impromptu servicing? It really depends on the manufacturer. We’ve seen how much it costs with Volkswagen and Hyundai. Meanwhile, Volvo’s servicing packs are for three or five years. It charges £100 a year. According to the service indicator tool on the Volvo website, a five-year-old S60 that’s done 45,000 miles would cost £225 a year to service so the fixed price plan appears to work out cheaper. This really depends on the manufacturer. For example’s Hyundai’s fixed plans works out at £184.65 a year if you include a full-price MOT. That’s £15.38 a month. Kwik Fit’s fixed price servicing over two years comes to £299.90. That’s £149.95 annually which works out at £12.50 a month. The independent we found would come to £162.50 annually, or £13.54 a month. Whether you choose a trusted independent garage or a franchised dealer that knows your model inside out is your choice. Our snap shot of the market shows fast fit garages to be the cheapest, closely followed by independents and then the manufacturers, but the differences in cost are not as great as you might have imagined. Whether you sign up to a fixed price scheme depends on how you and your family budget. The other option is saving an amount every month and paying when the bills come in. But the most important thing of all is that you keep your car regularly serviced.